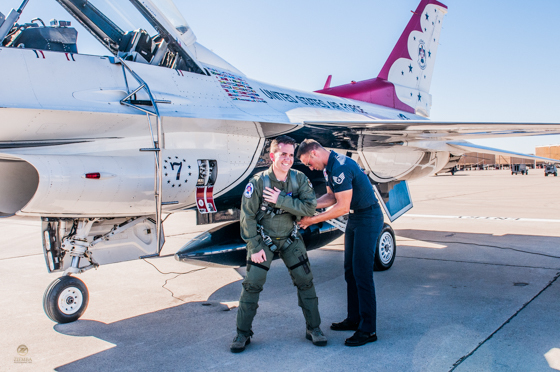 Hometown Hero Flies with the USAF Thunderbirds! Once in a while somebody else’s once-in-a-lifetime experience also becomes your own. 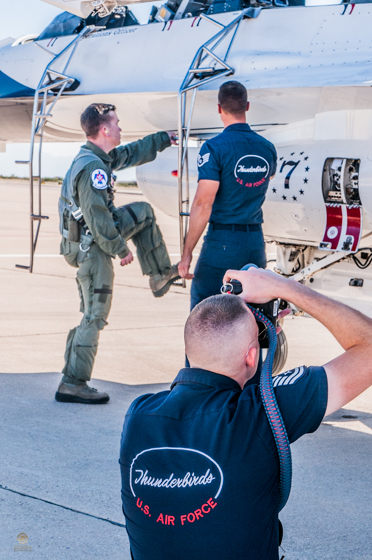 Such was the case recently for me when Brendan Lyons asked me and my camera to accompany him on the flight line with the USAF Thunderbirds. Even when I am not able to be the one in the action, part of my life’s joy is to have the opportunity for the behind-the-scenes experience. 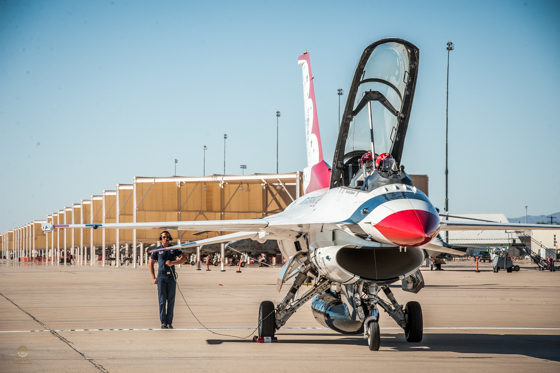 Being on that flight line brought back many memories from growing up. Both my father’s were fighter navigators. 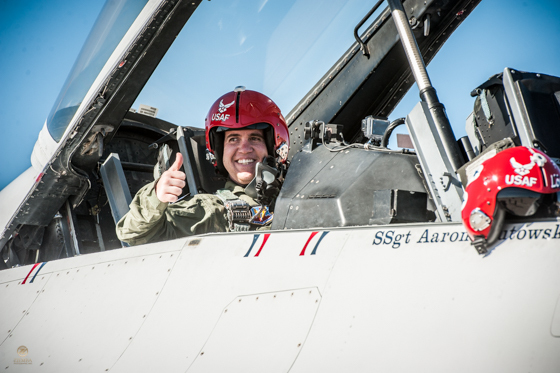 I became a young woman in the shadow of the Phantom F-4. But last week it was a new friend in the backseat and if it couldn’t be me, I was thrilled that it was Brendan. He deserved the ride, as he deserved the honor. From the USAF press release: While cycling in 2011, a motorist made an unsafe lane change, putting Lyons in the hospital. 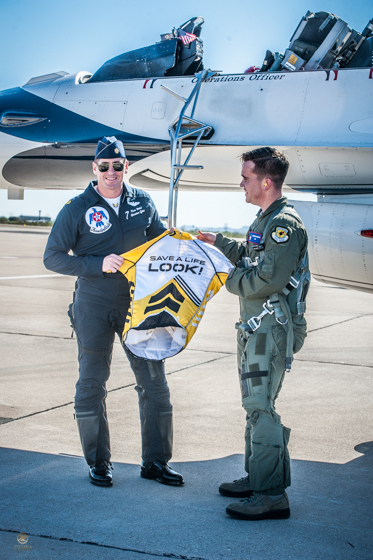 During that recovery, Lyons felt compelled to start a campaign of awareness through LOOK! Save a Life, which he did in 2012, promoting the safety for all who utilize our public roadways. In 2013, Lyons was almost killed when a distracted motorist traveling 45 miles per hour struck him and his fiancée from behind on their bicycles. Up until the accident, Lyons was a firefighter and EMT with the Rural/Metro Fire Department. 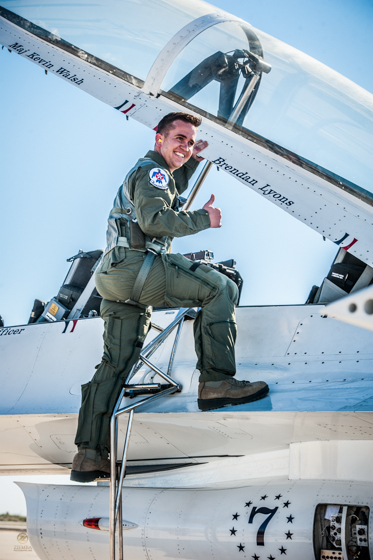 Lyons sustained numerous spinal and pelvis fractures, was treated for a traumatic brain injury and forced to endure a lengthy hospital recovery. 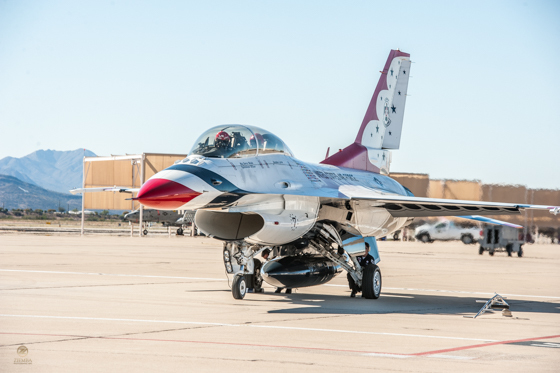 He went through months of physical, cognitive, occupational and vocational rehabilitation, was restricted from driving for six months and often had to use a wheelchair to get around. The mission of LOOK! Save a Life is to encourage cyclists and drivers to look out for each other and be aware of their impact on other users of the roads. The organization stresses that safety is everyone’s responsibility. With his shattered bicycle framed as a centerpiece for safety, Lyons shares his story about the life-changing consequences of distracted driving and how one moment’s distraction can be a lifetime of regret. He is committed to making his community safer. Lyons explained that he is driven by a desire to create change and make his community a better place to live. “I think a great life is when you live up to your potential and give back to others. I am so honored by this recognition,” he said. 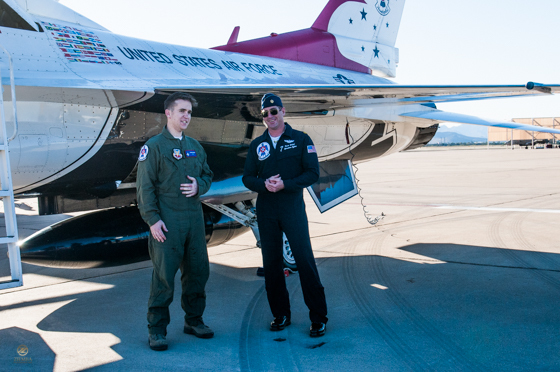 Thank you Brendan for inviting me along this journey with you and allowing me to photograph your Thunderbird story! 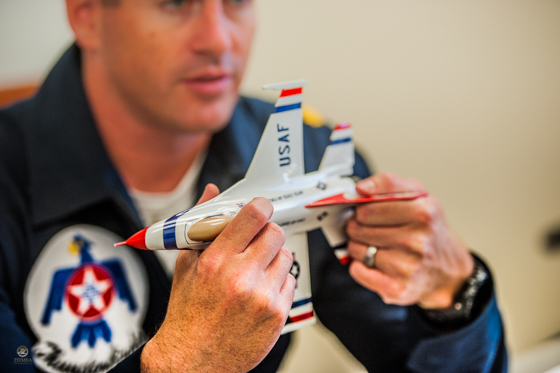 Major Kevin Walsh, explains G-forces to Brendan during his pre-flight Thunderbird briefing. 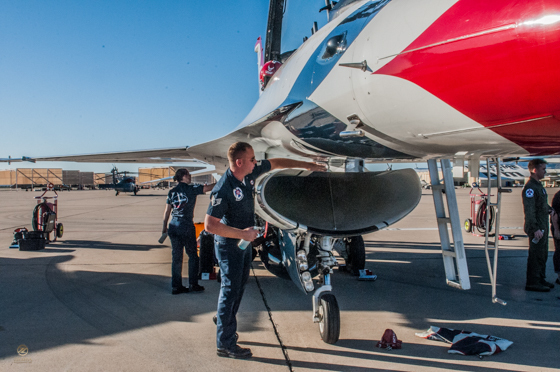 The Thunderbird team consists of 12 Officers, 120 enlisted personnel, 24 Showline professionals and 2 Civilians. 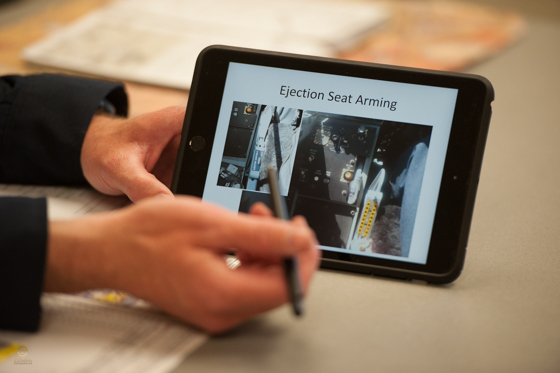 Preparing for even the worst must be a part of the considerations in every guest flight briefing. TSgt. 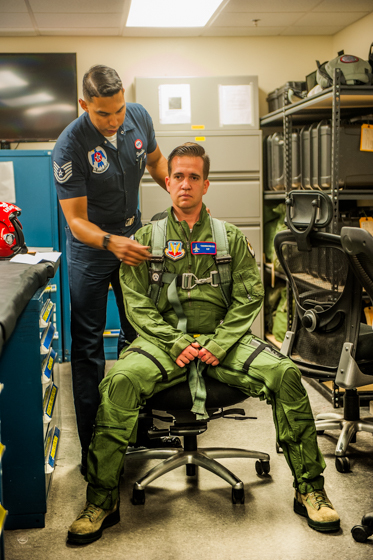 Rosales is in charge of fitting Brendan with his gear as well as instructing him on the mechanics of each flight suit element. 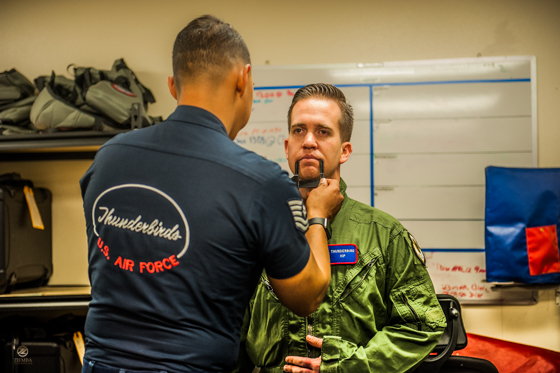 Measuring for the exact Thunderbird flight helmet fitting is a precise process. 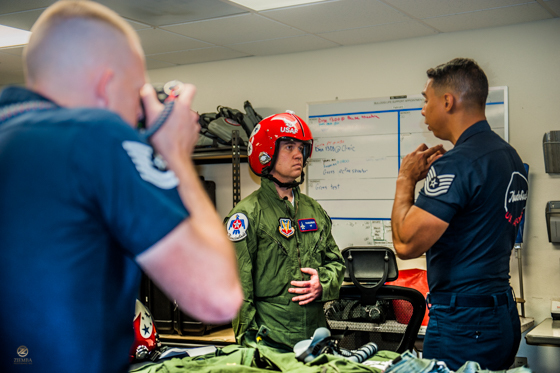 T-Sgt Paul Rosales is an aircrew flight equipment specialist and some of his responsibilities include maintaining and repairing flight equipment such as helmets, oxygen masks, parachutes, flotation devices, survival kits, night vision goggles, anti-G garments, aircrew eye and respiratory protective equipment. 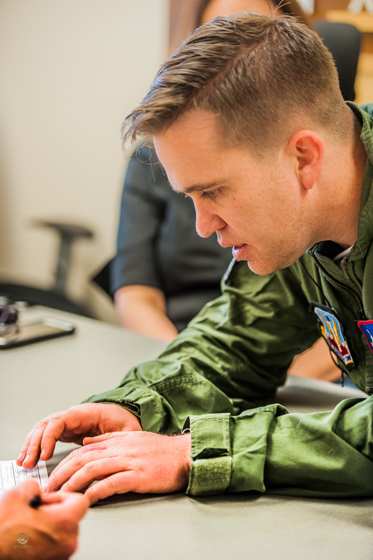 He also operates various types of test equipment such as altimeters, oxygen testers, leakage testers, radio testers and other types to conduce reliability testing of AFE, performs operator maintenance and service inspections, and instructs aircrews on purpose, operations, and care of equipment. 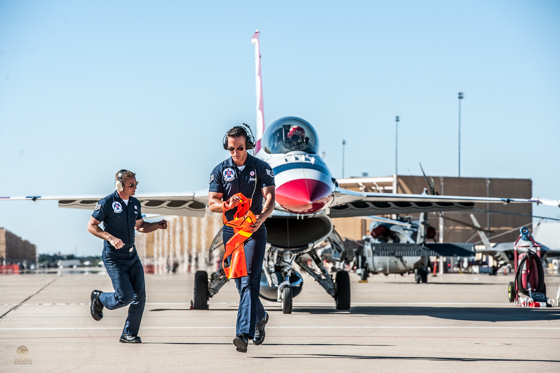 After briefings and fittings Brendan heads out to the flight line with obvious excitement on his face! 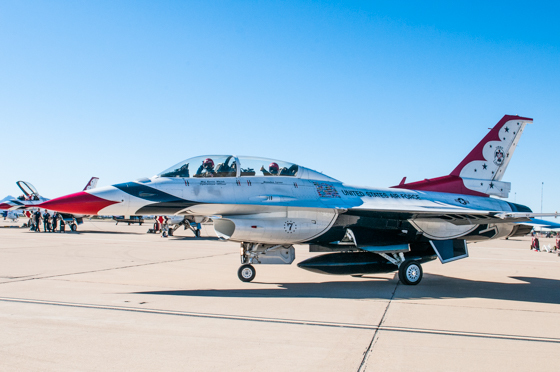 The Lockheed Falcon F-16 Fighting Falcon is the plane used by the Thunderbird team. 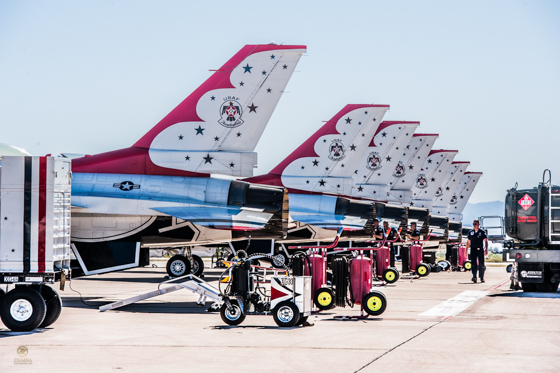 The flying unit, officially known as the U.S. Air Force Air Demonstration Squadron perform 77 show during the 2016-2017 season. 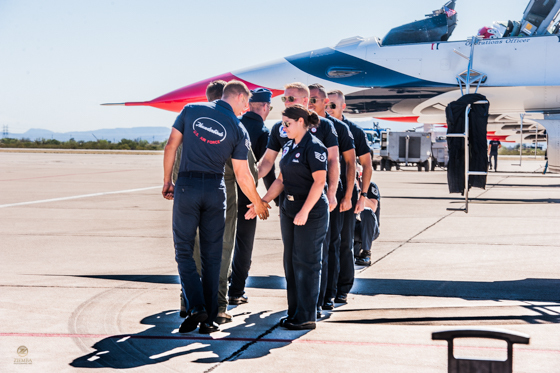 Before each flight the crew and pilot go through a team lineup ritual. Brendan is included in this lineup. The human heart can only push against 4G's, so it needs a little help above that to keep blood flowing to the brain during higher G maneuvers. 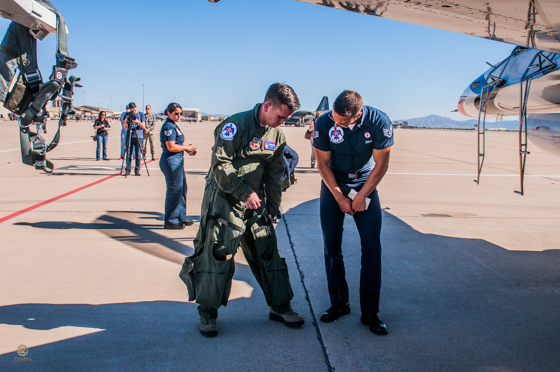 The special gear is meant to be worn while sitting down so it was kept off until all was ready for the flight! Putting in earplugs to protect against the sonic blasts! 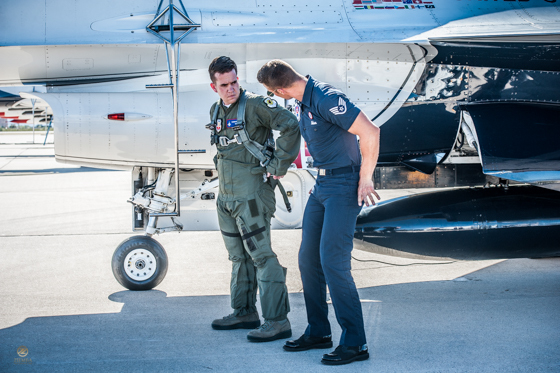 Brendan was given four patches: (R-L) The Thunderbird emblem, major command that the Thunderbirds belong to (Air Combat Command), Thunderbird VIP, and on his left shoulder the 57th Wing patch representing the unit the Thunderbirds belong to. Brendan, Executive Director, presents a Look! 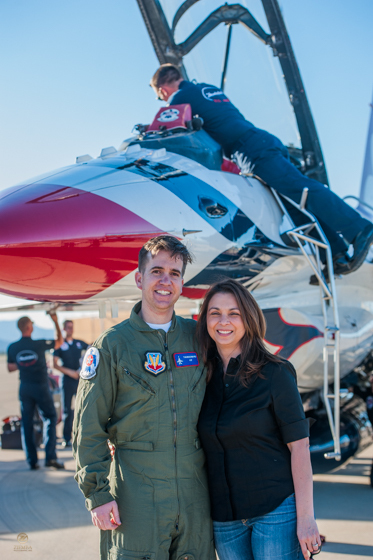 Save A Life jersey to his Thunderbird pilot Major Kevin Walsh prior to flight. 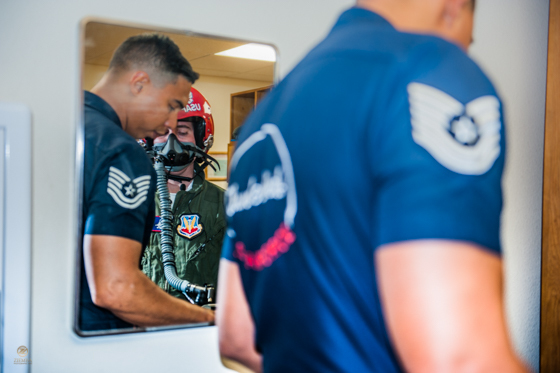 The Major took the jersey up with him into flight. 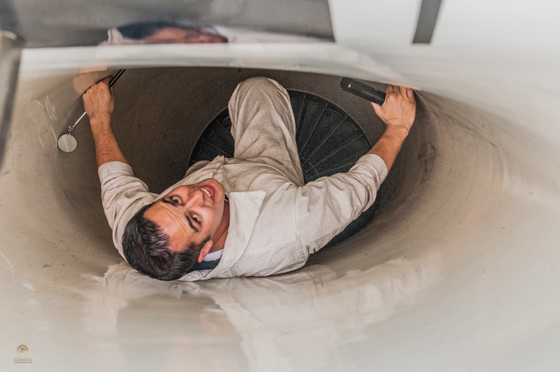 Receiving instruction on how to climb into the cockpit on an unusual ladder. 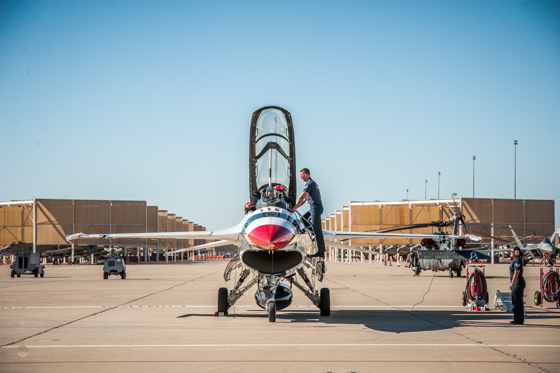 The Crew Chief gives Brendan his final instructions in the cockpit before flight. 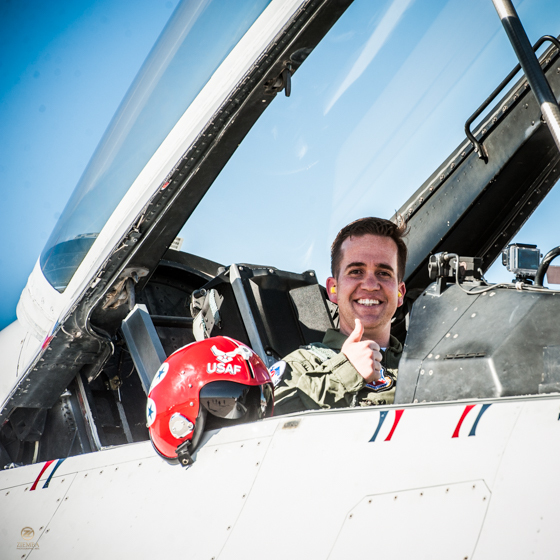 Pilot Maj. Walsh enters his seat. 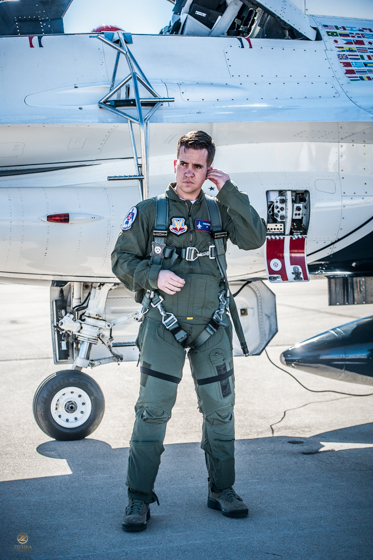 Maj. Walsh is a graduate of the USAF Academy in Colorado Springs, CO. 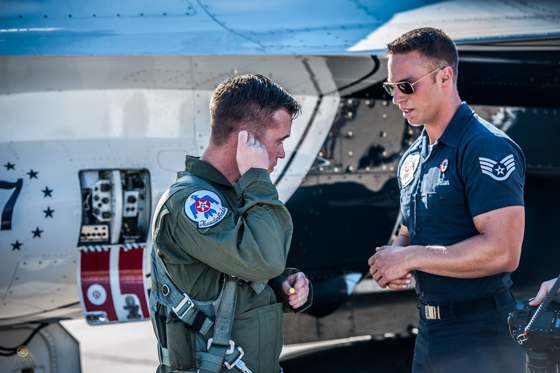 Ground crew member uses hand signals to communicate with the pilot. 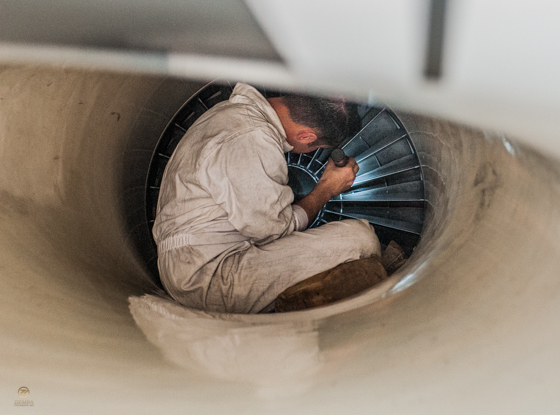 Precision on the ground is just as important as in the air. 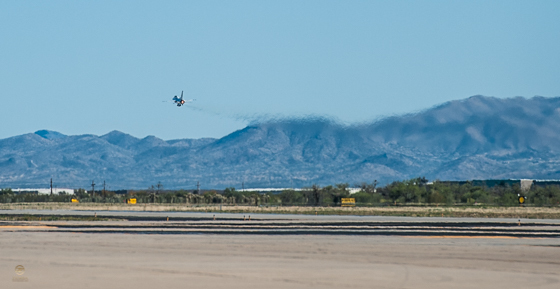 The way this crew handled procedures was an amazing performance to watch. Still images don't do this part justice! Thunderbird 7 begins its taxi out to the runway. Brendan gives the thumbs up as he and Maj. Walsh taxi out. 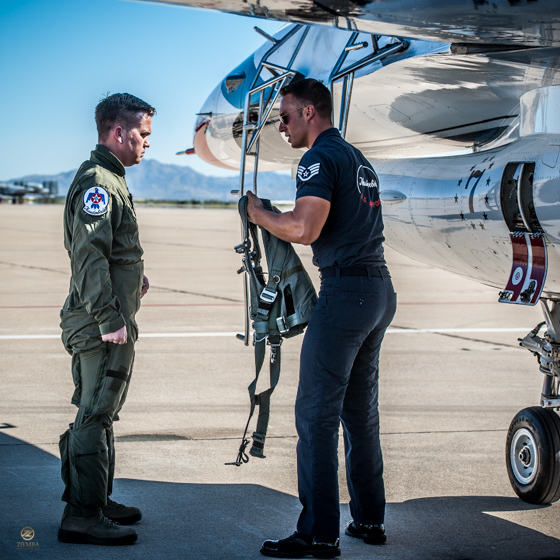 Getting his land legs after flight and chatting about the experience with Maj. Walsh. 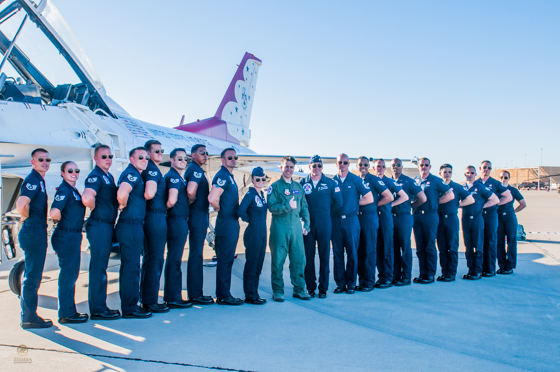 The Thunderbird maintenance crew stands for a group shot with Brendan after his flight. 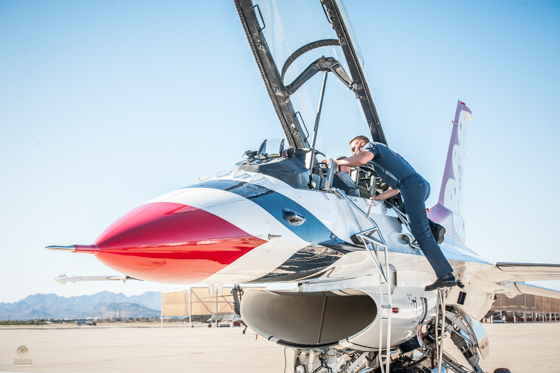 Immediately following the flight, the crew begins cleaning and maintaining the equipment to prepare it for the Davis Monthan AFB bi-annual air show. I was fascinated by this procedure. 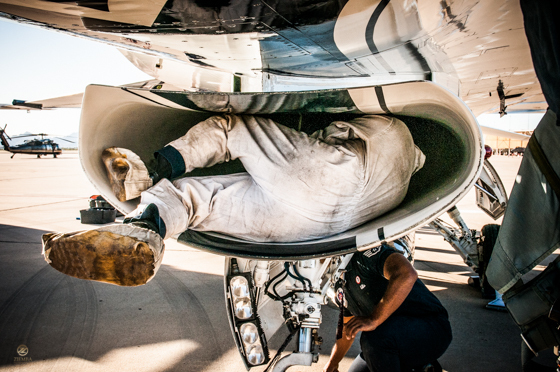 Crew member dons specific gear to climb inside to examine some of the equipment post-flight. 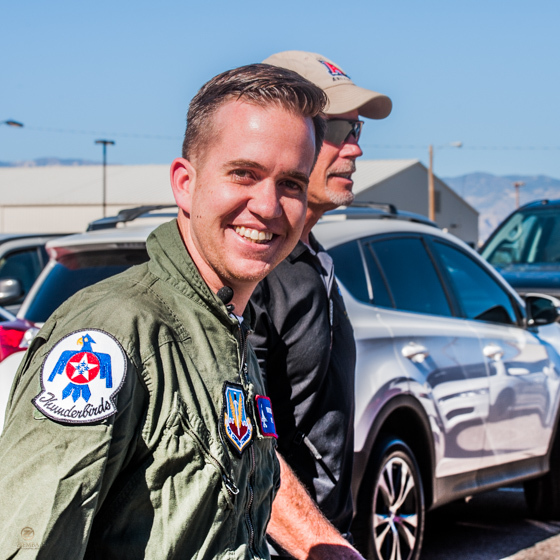 One happy post flight honoree!! Fiancee Lorena Evans was also struck by the vehicle that landed Brendan in the hospital and on the long road back to normal. Brendan credits Lorena with a big part of his successful recovery! 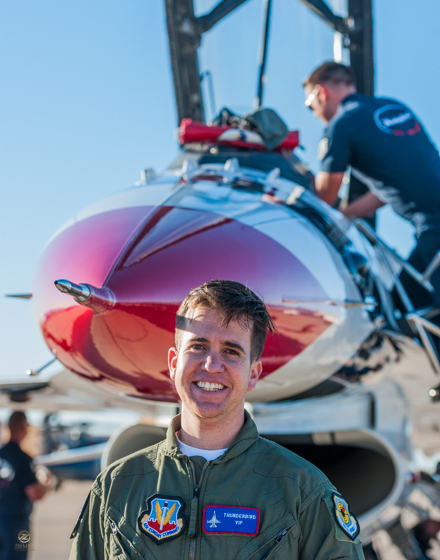 For more information about Brendan’s experience, the Arizona Daily Star article about Brendan’s journey is a great read as well! 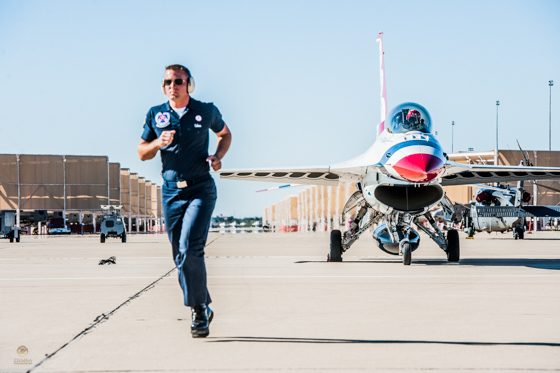 Since 1953, the Thunderbirds have been committed to spreading the word about your Air Force. 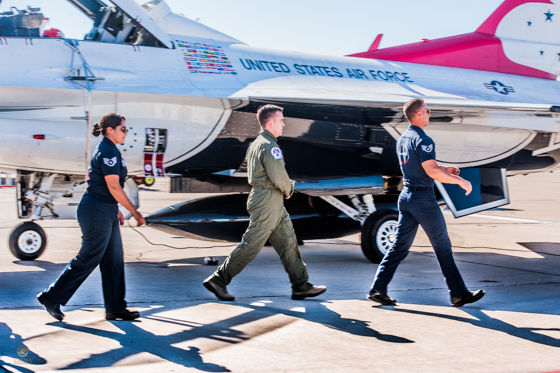 In an all-volunteer military, it’s critical to maintain a strong relationship between America’s armed forces and the people who rely on its defense. 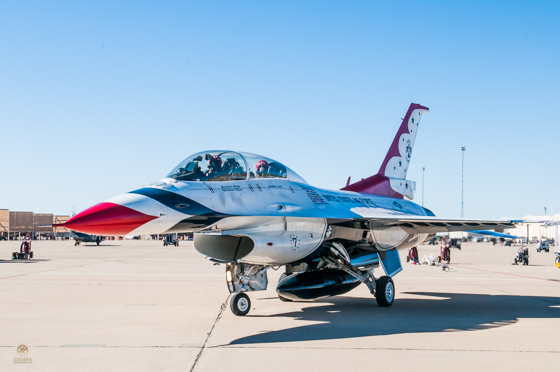 We work hard to showcase the capabilities of Airmen during our demonstrations and we want you to leave with more than just fond memories of amazing aerial feats. 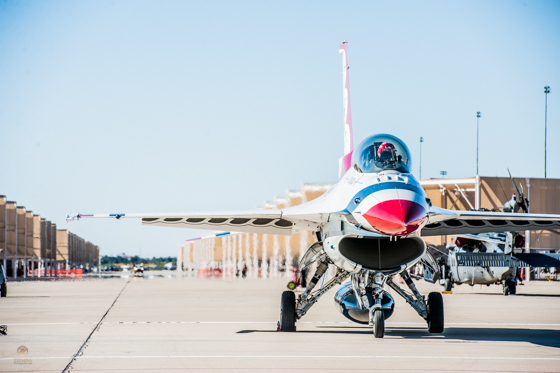 When you see our red, white and blue F-16s soaring high, you’re seeing more than the air show, you’re seeing a glimpse of the world’s greatest Air Force. 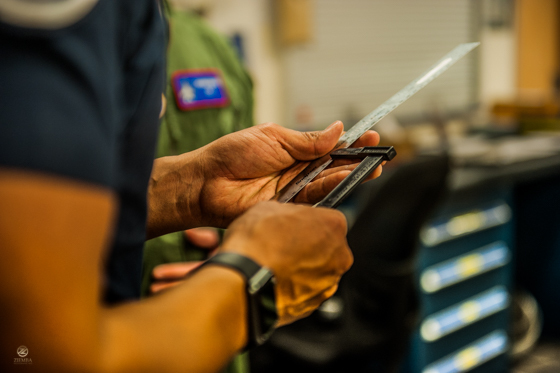 We hope you learn about the skill and precision of the brave aviators, maintenance and support Airmen who deploy abroad to defend our nation and its allies. 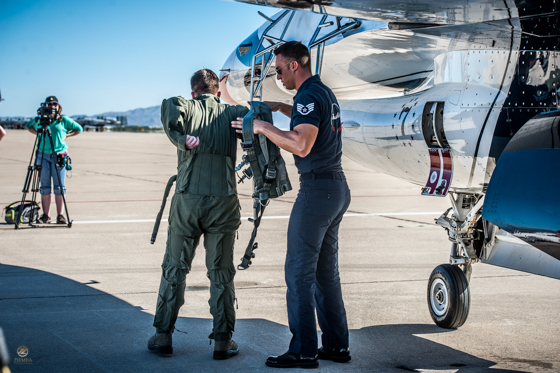 There are security forces, emergency responders and nuclear deterrence Airmen standing watch around the clock every day. 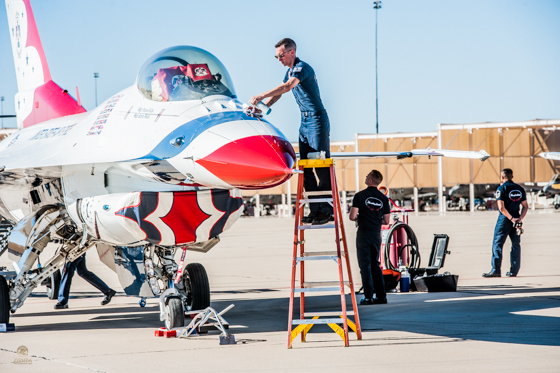 After watching the Thunderbirds in action, we hope you can garner a better appreciation of the invaluable support of all Airmen who provide administrative, logistical, communications and medical expertise to make it all possible. 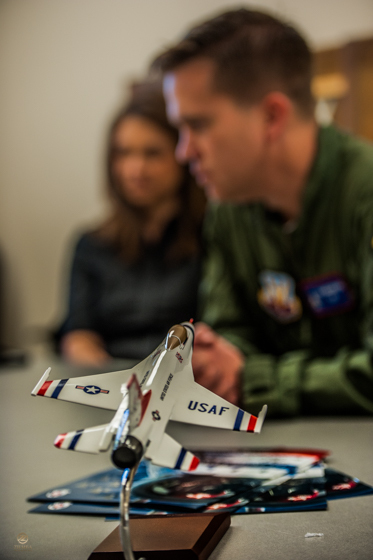 Our aim is to share the stories of those who have gone before us, dedicating their lives in support and defense of the Constitution of the United States. 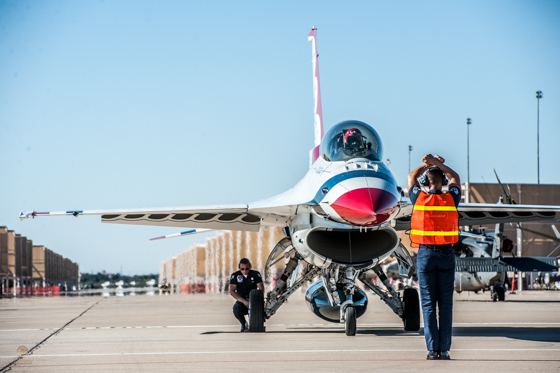 Looking to the future, the Thunderbirds hope to inspire tomorrow’s Airmen, ensuring our Air Force remains the world’s most dominant Air, Space and Cyber power. 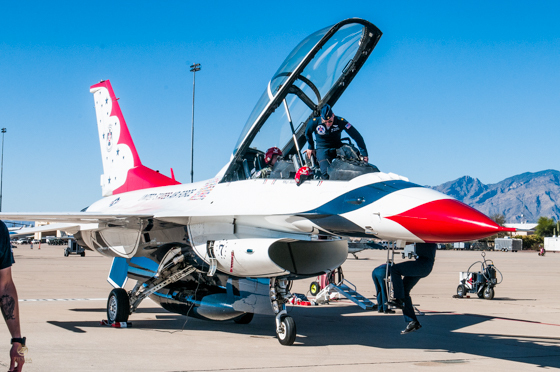 As Thunderbirds, we are proud to represent your United States Air Force. Thank you for your support. Fly, Fight and Win! 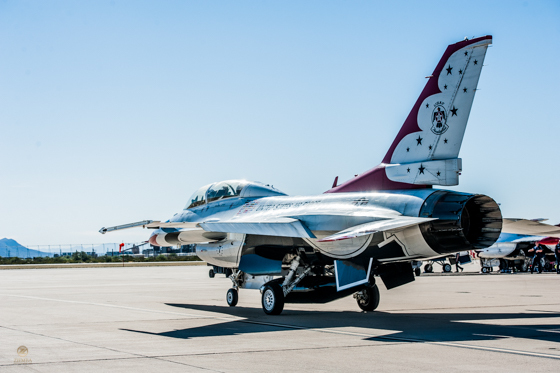 From all of us at Ziemba Photographic Arts: Thank you to Nicole Dalrymple, Chief, Community Relations USAF 355th Fighter Wing and Major Kevin Walsh, Director of Operations USAF Thunderbirds. And special thanks to Lorena Evans and Troy Peterson for the support and friendship they showed me in the brief time we spent together. 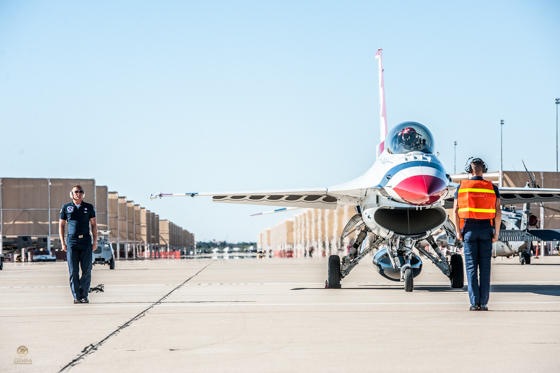 2015 Top 100 Images – Year in Review!